A mold growth was recently discovered in Ukiah Library. And because of it, the management was forced to shut down its section for the children. The fungus was actually found in the windows of the whole library. However, the worst of its presence was discovered in the children’s room, where it was seen growing even in the area’s wall and ceiling. Worried about kids with asthma, the children section was then promptly closed. Particularly, it was shut down by the Mendocino County Risk Management Division on Friday at 11 am following the discovery of mold. According to Mendocino County Librarian Mindy Kittay, the severity of the problem was still not determined as they were still waiting for the results of the inspection. Hence, it couldn’t be said yet when the section would reopen. Nevertheless, the library was planning to set up a temporary reading corner for the children elsewhere in the building. And though the story-telling events scheduled in the closed room were also canceled until further notice, Kittay stated that they were figuring out a way to still have it somewhere else. “The children’s room at the Ukiah library on North Main Street is shut down until further notice after county employees found mold in a window, a wall and the ceiling, according to Mendocino County Librarian Mindy Kittay. 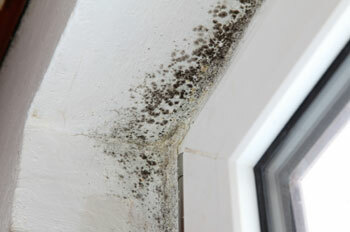 Children, along with elders and people with weak immune system, are the ones most vulnerable to mold. Hence, it was right for Ukiah library to close down the children section immediately. However, that doesn’t mean everyone else must not concern themselves of the fungus’ presence. That’s because though less severe, it could still cause anyone health problems that could turn into a major risk if the spores are not immediately detected and cleared. With that said, you must, therefore, be wary of mold signs. And as soon as you see any of them, don’t waste time. The spores could spread fast and trouble you even more, so, get rid of it promptly. If it’s less than ten square feet, it’s safe for you to do the mold removal yourself. With a single professional remediation costing around $1000, personally implementing it would surely save you a huge amount of money. But that would only work if you choose well the product to use in the process. But which one or ones must you get? The answers are Molderizer and Safe Shield. Both are organic-based, so, you could rest assured that they are safe and wouldn’t give you additional spending for any harm to your health or that of your family. Moreover, hotels, hospitals and mold removal companies have already proven that they are effective in killing the spores and preventing their return. With those advantages, they are surely the best that you get. 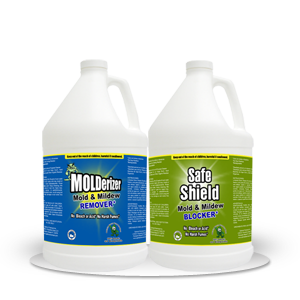 Get The Molderizer and Safe Shield Complimentary Samples Now!